Today’s post is sponsored by hayneedle. At the end, I have links to all of the products featured. 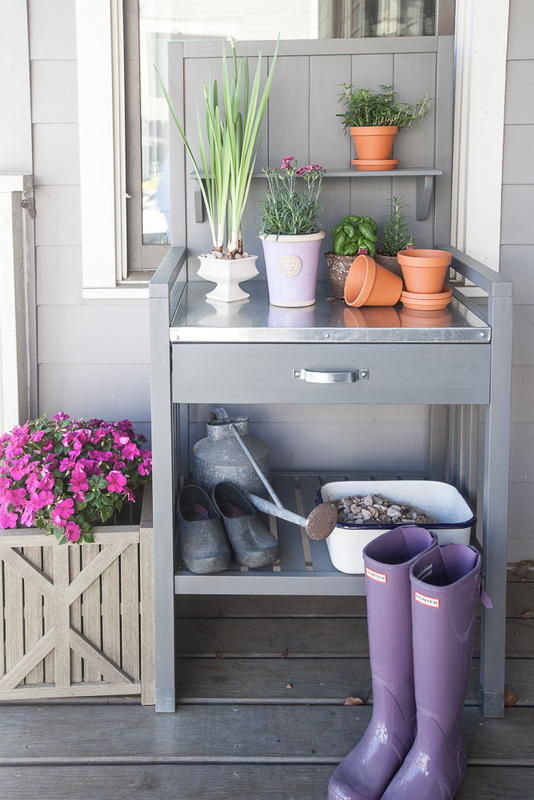 I love the look of a potting bench on a porch, but also they are great for potting plants, and you can also use them for serving food if you have a party. The one shown above is small, so it will fit on a small porch like my city porch. There’s a shelf below and even a drawer, which is very nice to have. I love inpatients and the pink ones are my favorites. 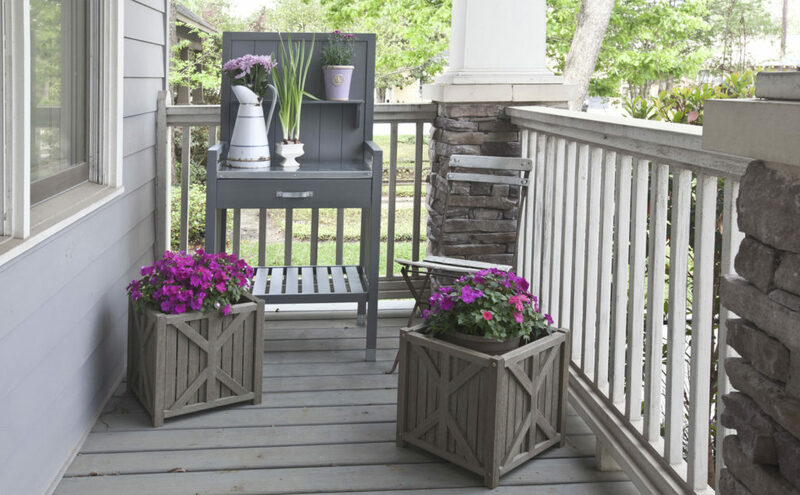 They look great in these generously sized gray planters. They have an adjustable shelf in the bottom. 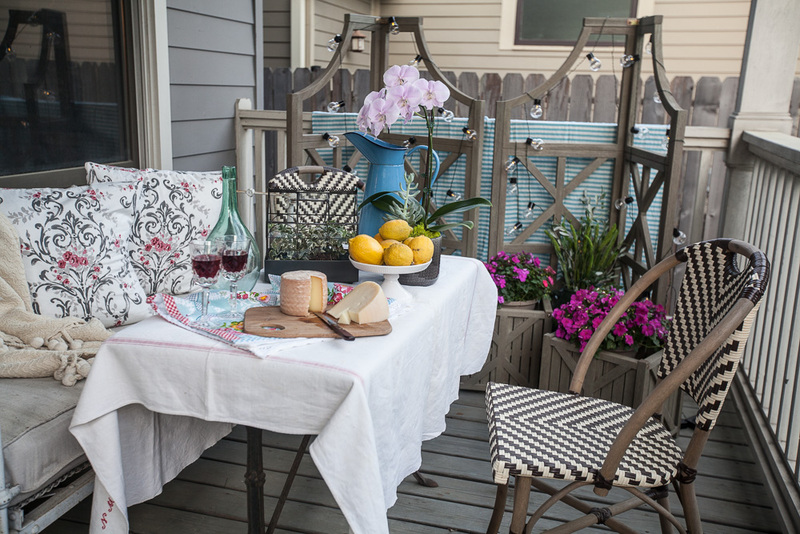 We also have a podcast episode today on outdoor living today. You can listen below. I have a love affair with small little greenhouses. I actually have 3. This one is SO PRETTY!!! It has a plastic liner for the planting in the bottom, but my favorite feature is this little window that opens or closes. I had so much fun buying some plants this week at the nursery. I don’t think I’ve ever seen an unhappy person at the nursery. Our house in the Heights (where we live, not our farm) is smack dab in the middle of Houston. The neighborhood is historic. These houses were built for working class people, back then, that meant a two bedroom, one bath, no garage. Then as some of the houses fell apart, they were torn down to make way for new construction. The new houses tend to be 3 bedroom, 3 bath with a garage. The houses that weren’t torn down were renovated, adding bedrooms, bathrooms and a garage. The houses got larger, but the lots didn’t. All of that to say, we are really, really close to our neighbors. I think you could easily jump from our rooftop to theirs. So we stare at the side of their house when we are on the back porch. I wanted a bit of something interesting to break of the boring view. I added some throws to the railing and then these beautiful trellises. Then we added these lights! You can see our neighbors house in the photo below. See how close they are? But the lights are so pretty and festive. Here I moved the potting bench to the front porch to see if I preferred it here. It looks nicer, but I think I’ll do more potting on the back porch. So this is the configuration I ended up with. So even though the porch is quite small, the potting bench and the trellises work quite well here. 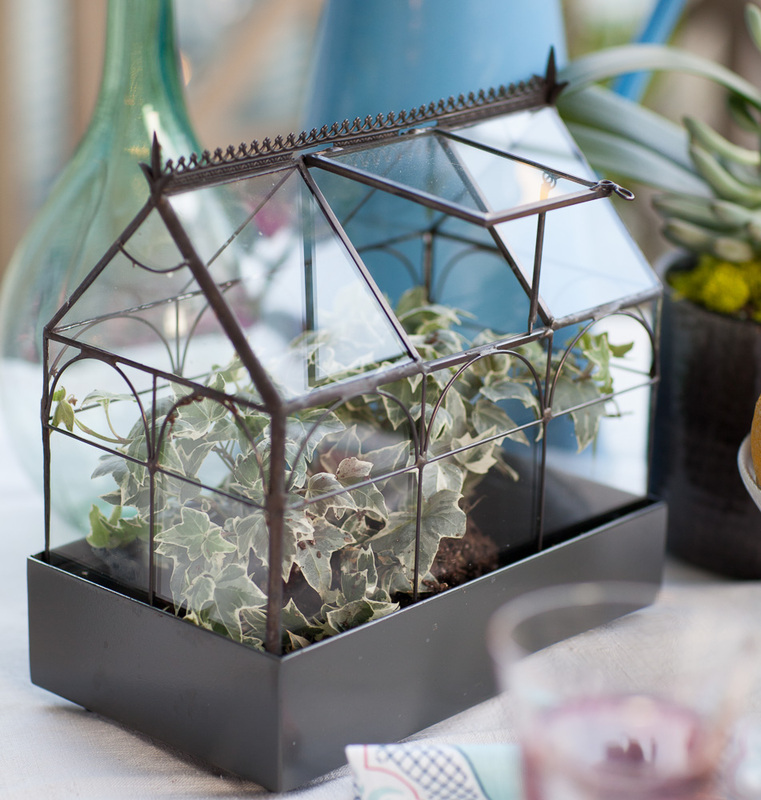 H. Potter Plant Terrarium CLICK HERE. Belham Living Potting Bench, CLICK HERE. 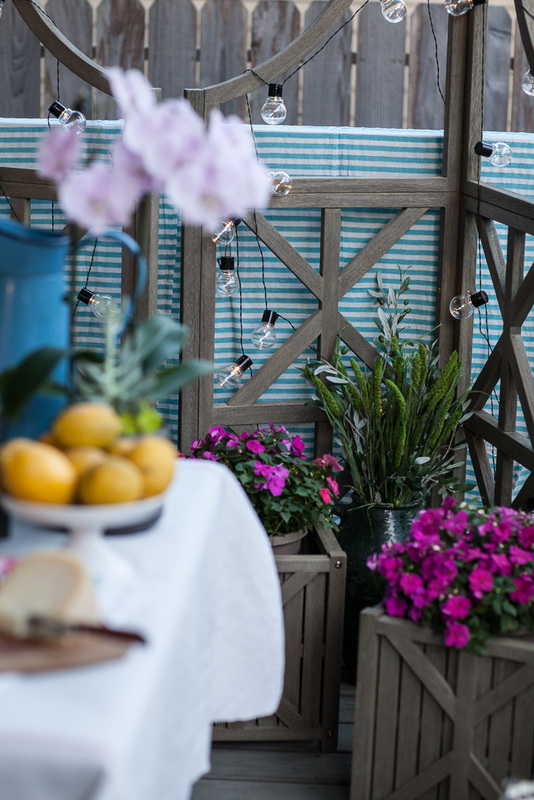 Belham Living Trellis, CLICK HERE. 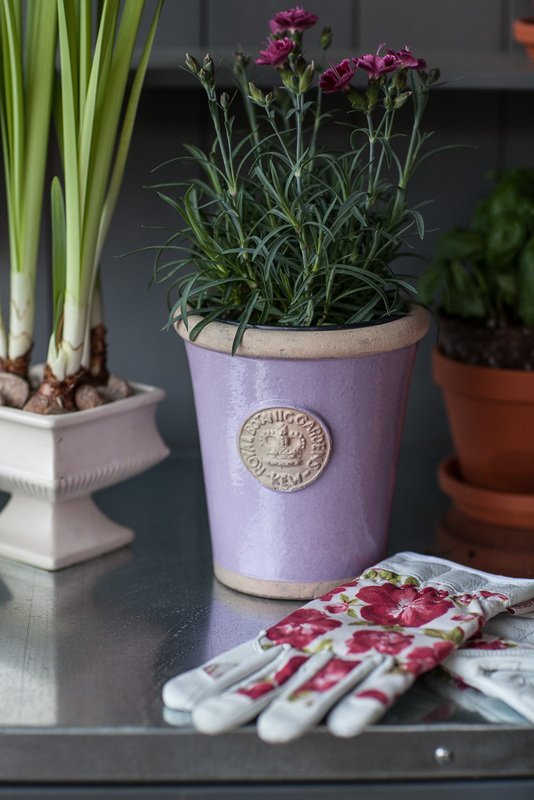 Belham Living Planter, CLICK HERE. Love your sense of humor. I look forward to your blog just to see what you will come up with next. You know they are retiring one of the original Crayola colors on Friday. That will really distress you, particularly after losing the Monopoly pieces and trying to find those stirrup pants!! Is there any way you could secure the trellis to sit on TOP of your porch railing? It would give you even more privacy but still be see-through. Love the lights you added to it! Great idea Jamie. The trellis is fixed at a 90 degree angle so I can’t do that, but I love the way you think! I love that you kept the potting table on the back porch. 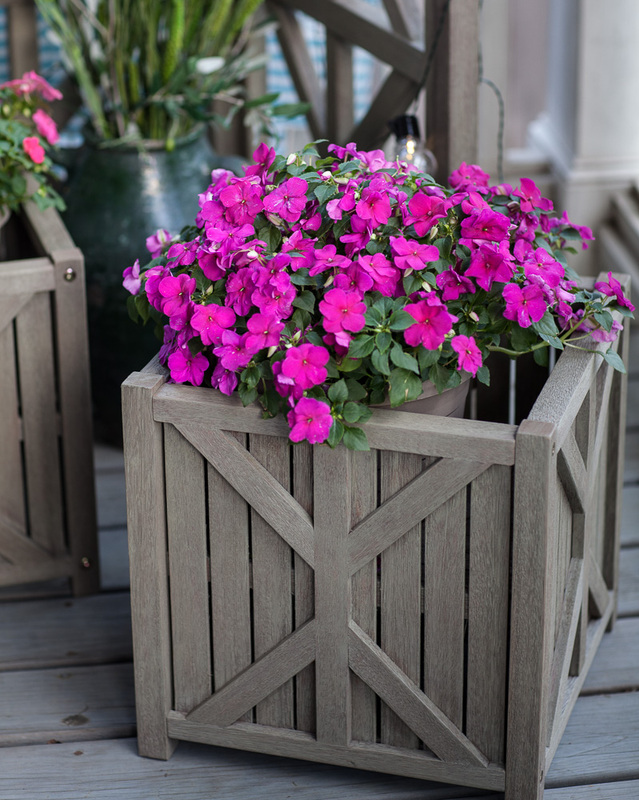 It’s the perfect foreground for your trellises. I think I would still try to raise them (the trellises) up a bit; maybe with stacked bricks or something equally rustic. Thanks for sharing your city porch, which is smaller and the size of space that most viewers must deal with. You gave lots of good ideas that are realistic and can be applied. Thanks Anita for the pictures of your porch. It looks really sweet. Anita, I like your potting bench and it looks really nice on your porch. Once upon a time, I thought a potting bench wasn’t necessary. A few years later and after countless hours of physical therapy for a herniated disc and it’s moved to the top of my must have list. The trellis and the lights are so nice and I love the color of the bench. Our front porch is shaded and impatiens work so well for us. Thanks for the ideas! I’m so sorry Sandra. I hope it feels better now. This came out beautiful. 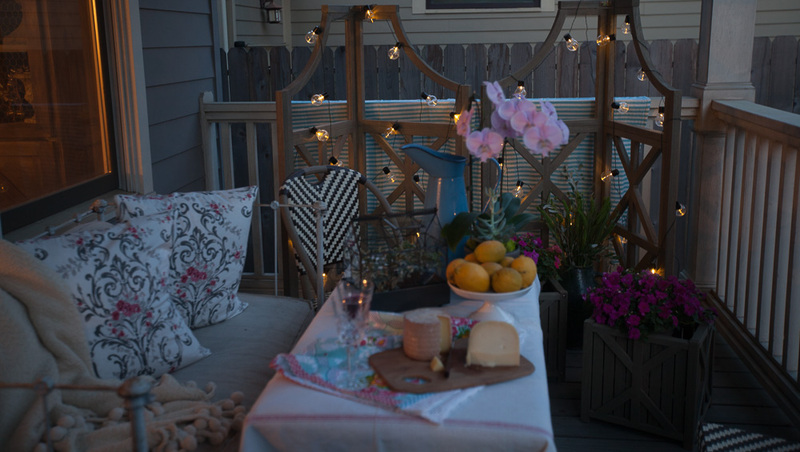 You have inspired me for what I can do on my back deck for this summer. I have pinned to share. Also, love your style so started following your blog by subscribing! Thanks for sharing and great job! 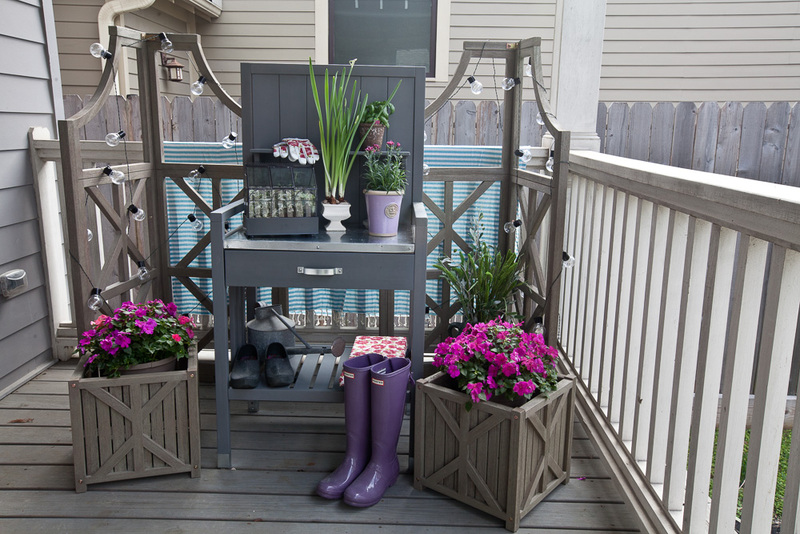 I love the potting bench and the string lights on the trellis! Hi! Visiting here from DIY Dreamer. I really enjoyed this post and all of the configurations you came up with. You will surely enjoy dining out there. Have you thought of grain sacks to use for the fabric in the screen. It would still block but be more subtle. It looks very cozy there for a cup of coffee or glass of iced tea. Hi, can you tell me which type of brick and manufacturer you used for the brick steps of your city house’s porch? It is gorgeous. I would really appreciate it. Alicia, it is from Texas Brick. I don’t really have any more information on it. I think they discontinued it based on what other readers have said.